I was honored to be one of the grant recipients this year. 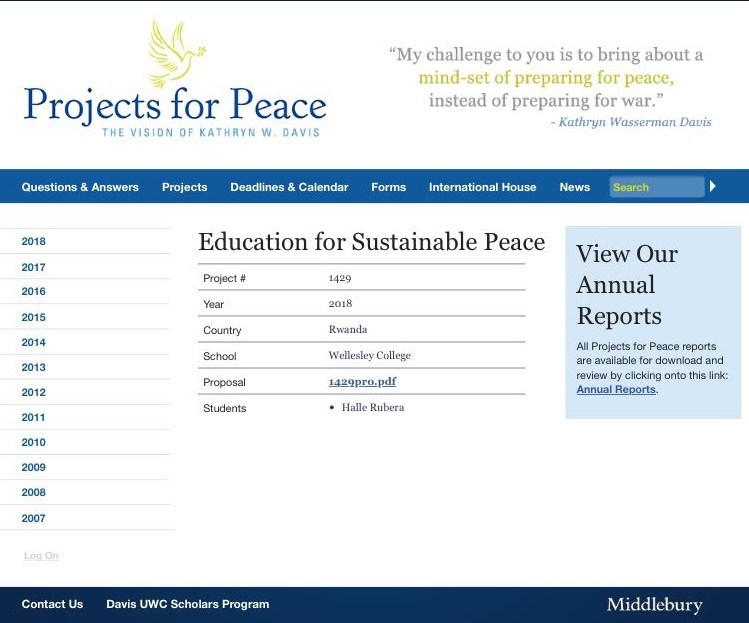 Visit the Davis website to read more on past and current projects around the world! As project manager, I was tasked with overseeing every detail of the project. I worked with a team of 3; communications manager, operations manager and construction manager. Together, we drew a plan for the icyumba cy'umukobwa, drafted a budget for the necessary building materials and made purchases of everything we needed. I teamed up with two young women to run the project. Aviel Rubera (19 years old) and Rhodam Gakwaya (22 years old). Rhodam was our operations manager, ensuring we had everything we needed in order for the project to run smoothly. She also doubled up as our translator (Kinyarwanda to English). As our communications manager, Avi ensured we were running on schedule and fulfilled our day to day tasks. We hired local talent to carry out the construction work. We set out to construct girls' restrooms at a local high school but the project changed slightly and got much bigger with time. We pitched camp at Groupe Scolaire de Gahini in the Eastern Province of Rwanda. GS Gahini is a co-ed school with roughly 1000 students; about half girls half boys. Instead of restrooms, they desired that we construct a sick room for the girls. In addition, we partnered with the local Anglican church to renovate 8 public toilets at their new youth center. The youth center hosts a public library, sewing school and soon a public lecture hall. One of my goals was to execute the project in a rural setting because often these places get the least attention. Twice a week, we would make a 3-hr journey (round-trip) to the keep track of the progress. 1 week into making the purchases we finally had the foundation laid. A total of 9 builders worked on the construction site. The rest of our days were spent planning for career workshops. I owe my privilege to the education I have received over the years thus wanted to share with the students the different post-high school opportunities available to them, This was also my first chance to introduce myself and the team to the student body. My desire was for them to see young Rwandan girls successfully executing a seemingly difficult project. 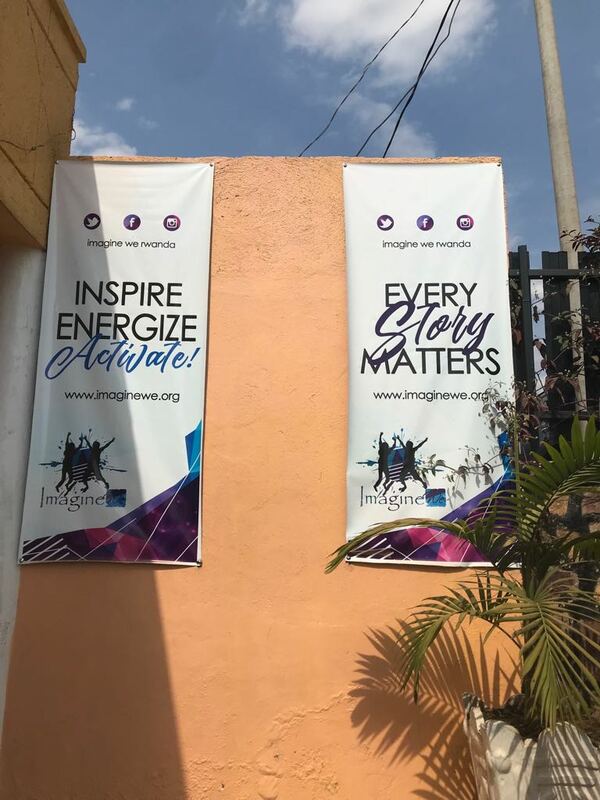 The youth center at the church will be open in a couple of months and will be a meeting spot for the local youth to learn tertiary skills as well as brainstorm on community development projects. Already, the center hosts a sewing school where members of the community learn how to sew in order to generate income for themselves. The center also hosts a public library which is stocked with books ranging from philosophy to science and history. We renovated 8 public restrooms which will be accessible to all members of the community. About 200 people frequent the youth center every day. Our work entailed completing the unfinished restrooms and ensuring electricity access so that they could be used at night as well. In the course of our time in Rwanda, we reached out to a couple of local organizations in order to form partnerships which would support our projects. We were delighted to meet with some of the staff members at Imagine We Rwanda. Imagine We is a local organization dedicated to learning and literacy. They donate free books to libraries all over the country and encourage their beneficiaries to not only read but also write their own stories. Imagine We has also published a couple of books; all Rwandan literature written by Rwandan authors. Visit their website to learn more about the amazing work they are doing. I had the pleasure of receiving 52 of those books for our students at GS Gahini. I picked out some light reading to be accessed by the girls using the sick room. Most of the books I chose were local youth magazines written in Kinyarwanda, books on African geography, history and people, and some classics like "The Prince" by Machiavelli. The school already has a library, so these books are purposely to give the girls some distraction while they rest. The school will add academic books too so that the girls can catch up on homework and study. Had someone told me exactly what it took to undertake a project of this magnitude, I would have backed out. I was going to be spending my summer away from home (Nairobi, Kenya) and undertaking a project which required me to be exceptionally proficient in Kinyarwanda. How else would I have bargained at the market, or even known the local vocabulary for the required construction material? Looking back, I am glad that I decided to step outside my comfort zone and invite two young women to make this dream a reality. Rhodam did all the hard work of translating whenever I did not understand what was happening and kept the team going with all her enthusiasm and resilience throughout the project :) I would definitely do this again! For our second career workshop, I invited two local students who had had the chance to study abroad in the US. 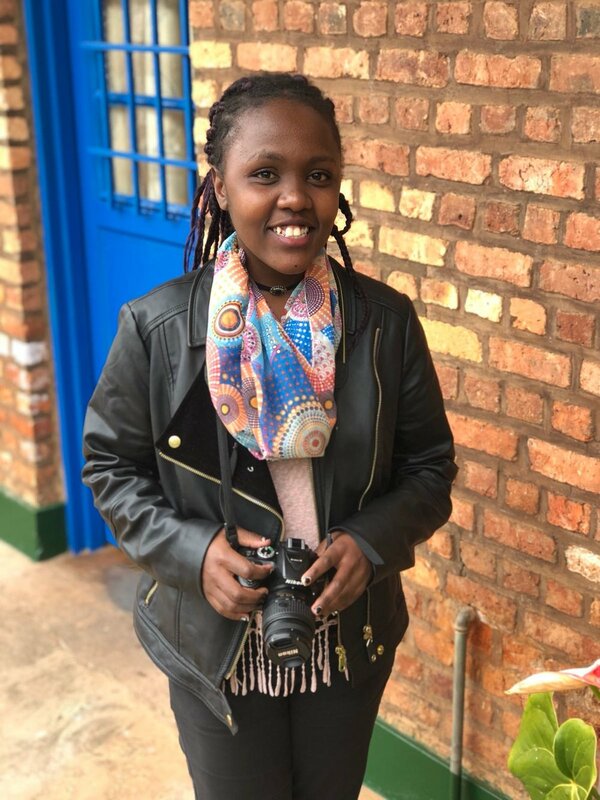 Jonathan Iyandemye (Harvard '18) and Irene Ingabire (Wellesley '22) shared their experiences growing up in Rwanda, attending schools like GS Gahini and making their way to the US. Their stories definitely resonated with the students. They asked lots of questions and were genuinely interested in learning more about post-graduation opportunities. Still cannot believe what we were able to achieve within a month! Brand new icyumba cy'umukobwa, new restrooms, and hopefully some inspired students! Thank you to all my friends who encouraged me when I was feeling low. Thank you for the words of encouragement, prayers, love and support. This project's success is all ours! ICYUMBA CY'UMUKOBWA, loosely translated as a girls' room is a concept introduced in schools by the Rwandan government to enhance girls' education. The room provides a space where girls experiencing discomfort from their periods can rest during school hours. Without many examples to follow, we set out to construct a space we would have wanted to use. In the end, we built a small house with a bathroom, bedroom and living room. We furnished the bedroom with beds and bedding and a wardrobe. The wardrobe was stocked with towels, sanitary towels, soaps etc. In the living room we have a small shelf holding the book donations from Imagine We. We hope that with this room, the girls have one less thing to worry about vis a vis their education. It was an honor to have the district and sector education officers visit the school to officially open the room. The officials expressed their admiration for our work and were thoroughly impressed with all our initiatives this summer. GS Gahini is among the first schools in the area to be equipped with such a facility and has set the pace and standard for the other schools. We are honored to have been part of this new beginning. I have to say, too, that on my 23rd birthday, I wouldn't have it any other way. My heart is full, I'm content; happy that ever since childhood, I had always wanted to do something nice for my country, and I finally did!